In order to prepare for AFC futsal championship 2014 in Ho Chi Minh City on April 30th. 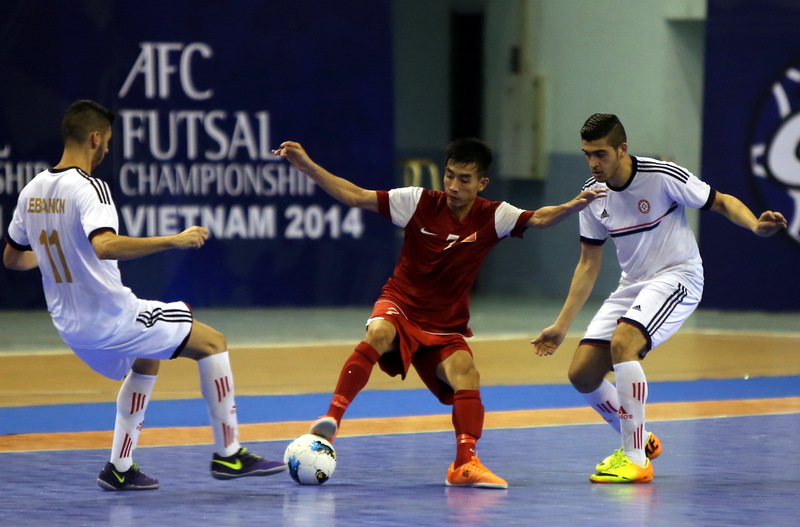 Vietnam national Futsal team have had a friendly match with Lebanon, then they have defeated opponents 6-2. After training trip in Spain, Coach Bruno and his men entered game confidently. In 3rd minute, Van Vu excellently opened for Vietnam. 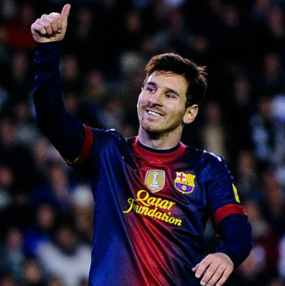 However, Lebanon also showed that they were not easy to overwhelm. 7 minutes later, visitors has an equalizing. 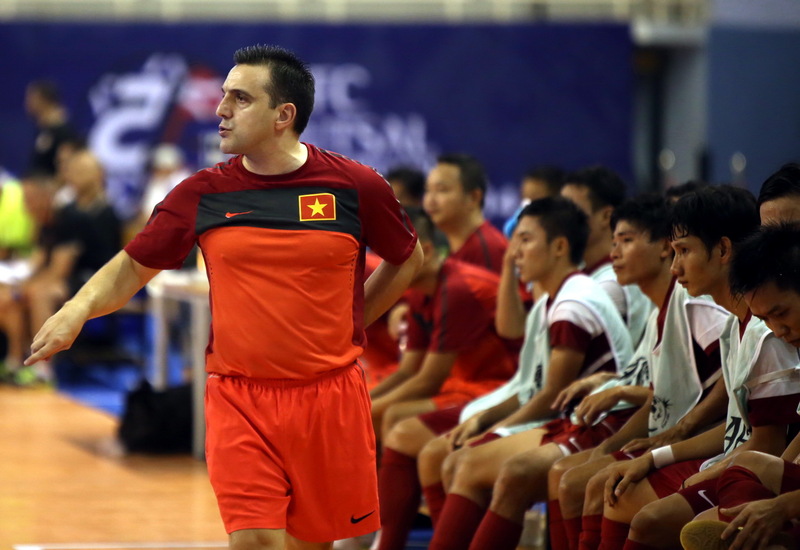 It’s not superlative when saying that Spanish Coach appearance has brought a different manner for Vietnam national futsal team. 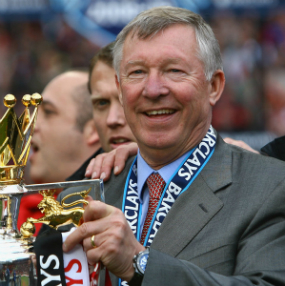 Their physical strength, playing style, defense and attack are getting more sharply and completely. Vietnam has consecutive goals from Trong Luan and Duc Hoa.Lebanon players raised line up higher so that they has a shortening 2-3 before ending of the first half. Entering the second one, the red totally overwhelmed game, Coach Bruno has changed a little in tactic. Then Vietnam’s Trong Luan and Xuan Du scored two more goals within only one minute. In spite of having tried to attack against, Lebanon player failed to compete with Coach Bruno’s men. 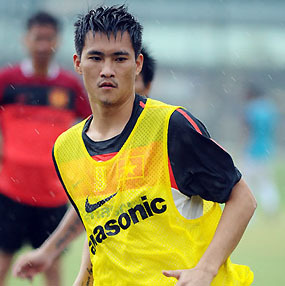 Van Vu, Xuan Du, Trong Thien…prevented opponents’ attack from the middle of field. 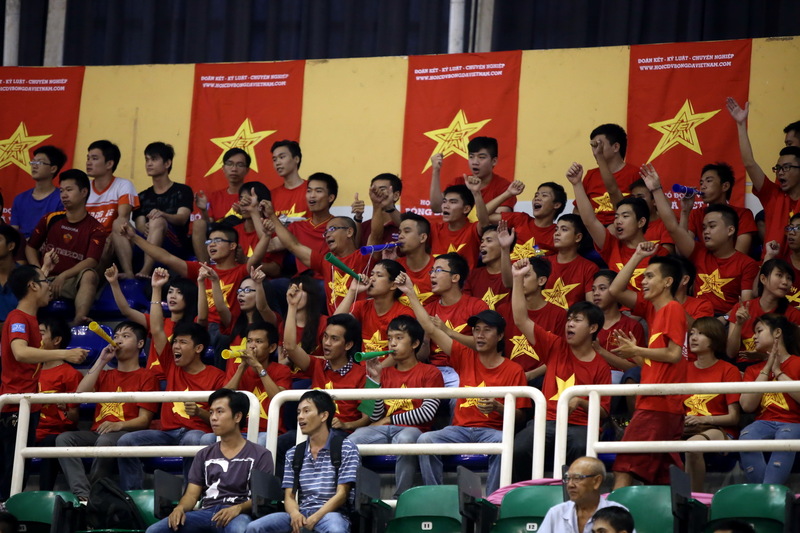 In 34th minute, Captain Bao Quan set 6-2 win in total for Vietnam. After this game, Coach Bruno Garcia said that, he has chosen to play with Lebanon because this is a famous one in West Asia and their playing style is same with AFC championship 2014 group A’s ones.